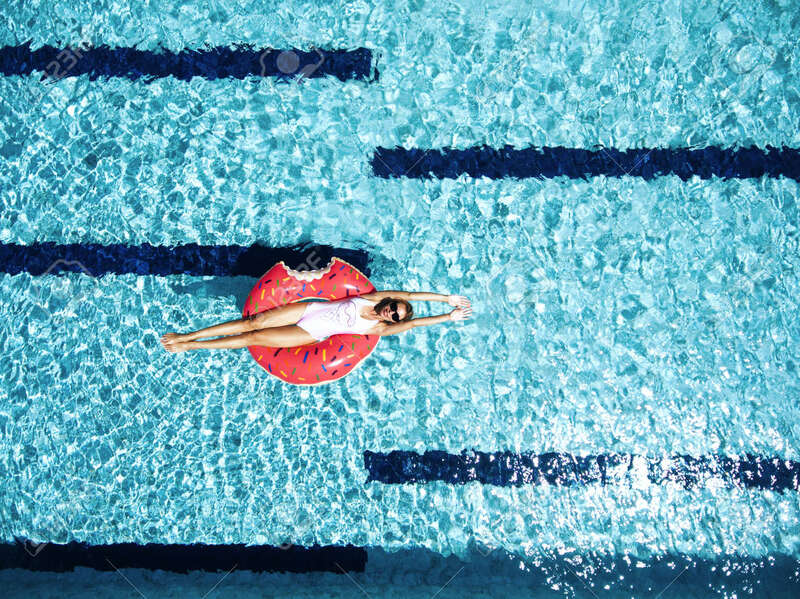 Woman Relaxing On Donut Lilo In The Pool Water In Hot Sunny Day. Summer Holiday Idyllic. Top View. Royalty Free Fotografie A Reklamní Fotografie. Image 69542978. Reklamní fotografie - Woman relaxing on donut lilo in the pool water in hot sunny day. Summer holiday idyllic. Top view. Woman relaxing on donut lilo in the pool water in hot sunny day. Summer holiday idyllic. Top view.